Buyanewcaronline.co.uk has several cars on offer this week including the high-performance Audi TTRS and the popular Ford C-MAX. See below for specifications and details. Buyanewcaronline has one pre facelift vehicle left in star silver, brand new with delivery mileage only. It comes with 12 months VED and free UK delivery. Available for £9,995, saving £3,500. There are also three Corsa 1.2 SXi models available with the new cosmetic upgrades, all new and in stock for immediate delivery. These are slightly more at £10,512, but with a bigger saving of £3,675. 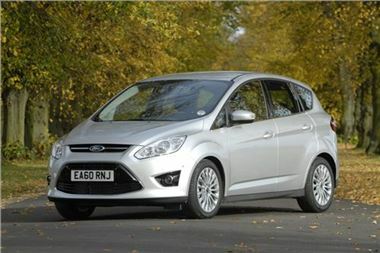 They also have a metallic silver Ford Fiesta Econetic five-door with air conditioning in stock for £12,326 including delivery, tax and on the road costs. That's a saving of £2,187 off the list price. The highly rated C-MAX is available with 2.0-litre TDCi diesel engine in Titanium trim, which includes Sony sat-nav, rear view camera and DAB radio. Priced at £18,719 including delivery, tax and on the road costs, a saving of £3,135. The price of £53,375 includes delivery, 12 months VED and all on the road costs, and saves £3,790 off the list price. For more offers visit www.buyanewcaronline.co.uk or call the sales team on 0845 612 3341. Quote Honest John on enquiry.